A senior aide of PA President Mahmoud Abbas has reportedly said "If I see an Israeli I will slit his throat". I think we now know why Netanyahu hasn't met with them to get peace talks back on tracfk. He is afraid of getting his throat slit! seems like an interesting guy..
Ahmed Maswadah and Ro'i Aharon meet for the first time. A Palestinian and an Israeli; a Muslim and a Jew, to share their perceptions, narratives and thoughts on Israel, Palestine and the issues of the region. And to learn about each other. We may not all look the same, live in the same place or engage in the same level of religious observance, but deep down inside, the Jewish nation shares a common bond that unites us, that transcends distance and breaks boundaries. WeR1 shatters the differences that divide us, focusing on the unshakeable connection shared by members of the Jewish nation all across the globe. “So many choose to focus on what sets people apart, but the truth is that our commonalities are far greater than our differences,” observed director Daniel Finkelman. WeR1 follows the story of two characters who could be every man or every woman. Located in Israel and New York each leads a vastly different life, yet feels an inexorable pull that drives them ever higher, an unidentified longing for something indefinable but exalted. Set against a backdrop of music performed by Israeli superstar Gad Elbaz, Australian singer songwriter DeScribe, American rapper Nissim, French singer Israel Alliel, and British performer Refael Mirila, WeR1 is journey to the highest heights, attainable only through unity. Bringing together a significant talent pool that includes film production by Daniel Finkelman and Elan Cohen, and music and lyrics by Los Angeles platinum songwriter and producer DK Benjamin, WeR1 is an inspiring musical triumph that takes viewers on a journey from London to Lyon to Tel Aviv and New York. Filling the heart and warming the soul, WeR1, a project of Kesher Yehudi - an organization which bridges the gap between secular and religious Jews - is a reminder to us all that now, as always, we are truly one nation with one heart. The Ministry of the Interior is subsidizing transportation for Muslims from the Galilee area wanting to go to Al Aqsa on Temple Mount. The State-sponsored buses are free of charge for them. Deri, the Minister of Interior, speaking at a Ramadan break-fast event, spoke about the need for peace between neighbors and living together in peace and with cooperation, and mutual respect. 1. From a social perspective, and from a democratic society perspective, this is wonderful of the Misrad Hapnim to help them with their religious worship. 2. Are there similar programs for Jews wanting to visit the Kotel or Har Habayit? Are there similar programs for Christians wanting to visit the Church of the Holy Suplchre, or others? 3. I am sure Deri does not want to encourage Jews to visit Har Habayit, as he believes Jews should not be there, but shouldn't he also not encourage Arabs to visit? Arabs can be on Har Habayit, but they also go to areas that the Torah says non-kohanim cannot go. So the same problem Deri has with Jews being up there he should have with Arabs being up there. Being passive about it and not fighting for them to be banned form Har Habayit is one thing. Encouraging them to go by sponsoring free buses is another. It is surprising to me to discover that until now it has perfectly fine and legal for clerks appointed to dealing with foreclosures of properties to purchase those properties for themselves. it seems like a classic conflict of interest. They crack down on a property owner who is in arrears, and instead of being motivated to help get them through it and find solutions, they see a nice piece of property that they can buy for cheap so they crack down hard and foreclose on the property instead of helping the owner to find a way to make payments. I would bet that most clerks probably deal fairly in such situations, but the law allowing clerks to buy the property they are dealing with leaves a big opening for poor decision making. Members of the Finance Committee of the Knesset is proposing a law that would make it illegal for clerks dealing in foreclosure to buy properties they deal with. They call the discovery of such behavior "the lowest moral behavior that our society has arrived at - if there are no morals, we'll have a law instead". Even with a law, it will probably be easy to get around. Clerks will tell relatives about such properties, or clerks will share information of foreclosed properties with other clerks - i.e. clerk a will tell clerk b about a property he or she dealt with, and clerk b will tell clerk a about a property in return. Meaning, people will always find ways to get around the law, but such a law will at least solve most of the problem. The Rabbanut was recently strengthened by the decision of the Supreme Court authorizing its continued monopoly over kashrut, and specifically regarding the right to declare food as kosher. Until now this has empowered the Rabbanut to continue to fight against private hechsherim such as Hashgacha Pratit. Now the Rabbanut is working to answer the claims of selective enforcement - they have begun cracking down on the "badatzim" - various Haredi established hechsherim - as well. The Rabbanut has sent supervisors to Ramat Bet Shemesh B to scope out restaurants that might bear hechshrim from the various badatzim without also bearing a Rabbanut hechsher. All such food establishments that were discovered were issued warnings, and next time will receive fines of between 1000nis and 2000nis. The Rabbanut says it began with the Haredi stronghold of Ramat Bet Shemesh, but will soon be expanding its enforcement efforts to other areas as well. Eida Hachareidis people say this is no surprise and they are telling all establishments under their supervision that they must also obtain Rabbanut authorization, as per the law. If the Rabbanut decides to make the switch and get out of the kashrut business, functioning only as a regulator, it will save business owners a lot of money, as they will no longer need to pay for two hechshers. I would think each hechsher would probably need to pay a licensing fee to the Rabbanut, and then the cost to the business owner might go up a bit to cover that addition licensing fee, but it will probably still be cheaper than paying for two hechshers,. this video has caused a bit of a stir in the Haredi community, upsetting Haredi askanim. It is an ad, a cheesy ad if I might say so myself, for the Haredi campus for engineering in Ashdod, and the recruiters go to the kollel and find the sharpest guy, the "iluy" of the kollel and make him an offer he can't refuse to entice him to come study by them. 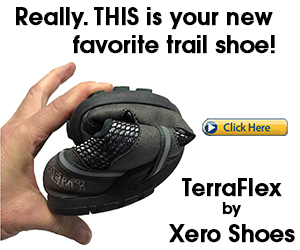 Askanim are upset that this ad crosses a line. It was acceptable, sort of, when people who left kollel went to study - but to actively target the best kollel guys and try to entice them to leave kollel is another story altogether. Yehuda! sings the Star Spangled Banner with his son Daniel! (11) and Hatikvah with his son Jakey! (9) at the FMS school gala in Cleveland 2016. The event featured Rabbi Lord Jonathan Sacks as the guest speaker for the evening. Now, I have no problem with a good, old fashioned, halachic argument. Some say the eruv is good, some say it is not good. Every eruv in the world has people in it that refuse to rely on it. Every halachic topic in the book has opinions arguing with each other. I also understand that Lubavitchers in Crown Heights never had an eruv before because the Rebbe was supposedly against it, and many in the community want that to be the status quo in the area. What I do not get is how an eruv can be considered Reform Judaism. There is an entire masechta in Shas about the laws of eruvin. There is a section in shulchan aruch about it. Eruv is not Reform Judaism, and modern-day rabbonim putting up an eruv is not Reform Judaism. Nobody is forcing any specific person to rely on it. Have a halachic debate. Call on your followers to continue in the fine Lubavitch tradition of not relying on an eruv n Crown Heights. Comparing an eruv to Reform Judaism is ridiculous. I am talking for myself and my children. I want to be an “old-fashioned” Lubavitcher, in the ways of the Rebbeim and the Baal Shem Tov. The security forces have closed Har Habayit for Jewish visitors for the remainder of Ramadan. They have done this in previous years as well, and on its own would be understandable and even acceptable, if all else were equal and Jews were given sole access, or even just extra access, during the Jewish holidays. As Bob Dylan said, The times, they are a changin..
things are changing in the Haredi world. abuse is being discussed openly. The frum news sites are now reporting on the cases as they become public. The discussion has been brought to the public. the cases recently have been so horrific that reporting is being encouraged and revulsion is being expressed. Batei Din are censuring molesters/abusers publicly and not just making stories go away quietly. I am sure there is still a long way to go, but things are changing. In the USA the leaders of Torah UMesorah have had enough and are now saying to report. Behadrei has reported that Torah UMesorah is saying that 1 out of every 5 kids are victims of abuse. The Novominsker Rebbe said we have no sympathy for abusers. He is having the affiliated camps prepare plans to train the counselors to identify abuse. I dont know if they were married all along and only had a Jewish wedding now, or if this is the first marriage for the two of them or if they were married to others previously and now married each other. Whatever the history is, this 90 year old Holocaust survivor (San Klizensky) married that 89 year old Holocaust survivor (Lilian Reznick) in a Chabad House near Paris. Champion gymnast Gabby Douglas is designing some new leotards for her upcoming competitions at the World Championships. One of her new leotards has been designed in a way that might very well interest you. It is definitely a curiosity. This scoop back gymnastics leotard displays an ombre sublimated bodice printed on shimmering holotek fabric with a mesh top. Unique style lines outlined in Swarovski® crystals add a dramatic touch to this stunning leotard. The Hebrew word “Elohim” (translation: The Strong One) was added to the left sleeve to honor her rich heritage of faith. Her sister, Joyelle “Joy” Douglas, created this custom design and worked with GK to bring this leo to life! She is using the name of God on her leotard to call upon strength, perhaps to invoke God's strength, or trait of strength. Perhaps it will serve her well. I wonder if her Jewish teammate, Aly Raisman, will be wearing something similar. But why in Hebrew? Amsalem calls them the exceptions. Maybe he is right and they are, or maybe he is wrong and they are not. Either way, Amsalem says a group of yeshiva bochurim from the Mir Yeshiva staye das guests for Shabbos on the army base of Nahal Haredi, and attaches a picture to that effect..
A lot is made of the "Chardak" campaign and every time a Haredi soldier gets attacked by Haredim, so it is nice to point out when Haredim show respect and admiration. let the long weekends begin! The "long weekend" is getting underway, with baby steps. Yesterday the Ministerial Legislative Committee approved the start of the long weekend, Passing in the legislative committee means chances are extremely high that it will pass in the Knesset voting, but we should not get ahead of ourselves. According to the first stage that is being approved now, the long weekends (ie. Sundays as a vacation day) are being scheduled for days that most people would likely take off anyway - 2 Sundays in the summer when the kids are on vacation, along with 4 Sundays scheduled through the holidays, specifically being exchanged for days during Pesach and Chanukah vacations. Staring the project off like this means they do not need to retool the school calendar in any significant manner in order to coordinate kids days off with parents days off. Rather, the parents will be getting the days off on days that the kids are already off. Eventually this is supposed to lead to one Sunday per month, and then eventually to every Sunday being a day off. Israelis work, on average, more weekly hours than other OECD countries, and this will move us more in line with the OECD, thus increasing productivity. In addition, it will improve quality of life, give people time to relax, shop, tour, spend family time and whatever else they might want to do. I am all for it. The Haredi media has yet to give its unique perspective on this telling us what the frum perspective on this si meant to be. I wonder if anybody, maybe the Haredi MKs, has asked the gedolim yet. Is it too "goyish", as some claim? is it good, as it will give people time to relax and learn more Torah? should it be encouraged as a way of lessening chilul shabbos? Will it cause more bittul torah as people find other things to do besides being productive or learning? so many apologies today. is something in the air? Netanyahu apologizes to the Turks. Erdogan apologizes to the Russians. anybody else? is this the new trend in the Middle East? I am not sure why someone starting a kollel is something newsworthy, but once it is, I feel like commenting. Behadrei is announcing that Shlomo Yehuda Rechnitz of Los Angeles is starting a new kollel. This will be a high end kollel and he is sifting through the avreichim of Eretz Yisrael looking for the best of the best, creme de la creme. Rechnitz is doing this to strengthen the Haredi community of Los Angeles, and he will be paying each avreich $50,000 per year, in addition to paying their housing expenses, child education expenses and other communal expenses they will incur. In addition to their learning, they will be involved in giving shiurim in the community, learning with baalei batim and kids and other communal Torah-projects. I think Rechnitz is doing a wonderful thing, especially as he is, once again, putting his money where his mouth is and not making demands of others. It is his money and he can spend it how he likes. It is commendable that he spends nice amounts of it on "divrei kedusha" and supporting projects he believes in. I feel bad that he is taking avreichim out of Eretz Yisrael for this, rather than finding avreichim in the USA, of which there are plenty, but perhaps these are avreichim that were only planning to stay short-term in Eretz Yisrael anyway and were already planning to leave. Israel's agreement to transfer 21 million shekels to the Turks constitutes a clear admission of guilt. Even if Israel does not acknowledge it, it is a confession to the murder of nine people, wounding of dozens, kidnapping and piracy in international waters and false persecution. I agree with the first part of what she said. As far as the second, it is the natural result of capitulating to terror/blackmail - when it succeeds it foments more of the same. If this deal goes through and it is what it is being made out to be, no matter how the PM "sells it" (i.e. tremendous economic ramifications) it will embolden Hamas and others, as they see that they are able to achieve their goals using terror. these speeches of Netanyahu are great and everyone loves to show him as the expert and pass around videos of his talks... but wouldn't it be even better if he followed his own advice, the advice he gives to the world? Instead of war after war after war with Hamas, maybe finally defeat them once and for all? Maybe take your own advice and show the world what to do instead of just telling them? The Rabbanut of Israel has announced that it is considering closing up shop on its kashrut department and instead of managing its own system of kashrut certification, becoming a regulator and giving out licenses to other, private, kashrut organizations. If they do so, they will have the power to fine agencies that do not adhere to the requirements declared by the Rabbanut, to revoke kashrut certifications, and to revoke licenses of private agencies. This possibility is being discussed justs hortly after the Supreme Court strengthened the Rabbanut hold on the kashrut system and upheld, at least for the next two years, the Rabbanut's position as being the only agency authorized to declare an institution as kosher. I am wondering if this will make it easier or more difficult to control who gives kashrut certification. They have been fighting all sorts of new kashrut agencies trying to break into the market and change the "rules" of the system, such as having weekday kashrut for places that open on Shabbos, having supervision that is cheaper and not as overbearing and controlling on the restaurant, using female mashgichot, etc. Will these agencies, such as Hashgacha Pratit, find it easier to operate under such a new system or more difficult? Will the Rabbanut have an easier time or harder time keeping out kashrut agencies they do not approve of? If they allow the various "badatzim", such as Eida, Rubin, Machfoud, Beit Yosef, etc, will they be taken to court the first time they refuse a "modern orthodox" hechsher? What about a Dati Leumi agency that might want to break into the market? What about when they refuse to grant a license to a Reform and/or Conservative organization? Will the list of requirements be taken to court as discriminatory and devised in a way that would keep out anyone they don't like? Would doing this be opening them up to even more heartache or less than they currently have? And why now? Why consider this now, right after their standing has been strengthened by the courts? This idea has been suggested many times in the past and always rejected (or ignored) - so, why now? ..one could attack the Brits and question how they could [vote for Brezit], but they made a democratic decision... there is an issue which has accompanied us in Israel for generations, and that is the Palestinian issue. I do not think that the elections necessarily reflected the approach to this issue... we need to ask the citizens of Israel if they want an Israeli-Palestinian state or an Israeli state. The public at large wants an agreement with the Palestinians, knowing that it includes risks, knowing that there are vital security needs. But let us take action - let the people decide and know what it is leaving to the coming generations. 1. before he gets so excited about a referendum he might want to make sure that the results of it are likely to be what he hopes for. If we have a referendum, will he then accept whatever the results turn out to be? Will he promise to resign if they fall out the wrong way, as did David Cameron? 2. plenty will argue with him about the elections. I happen to agree and consider it difficult to consider the elections a referendum about any one specific issue, but plenty of people disagree and will say that the elections are the best referendum, and Herzog already lost that. 3. I am not sure what Herzog is arguing about or with whom about this, and why he thinks a referendum is necessary, Netanyahu himself has publicly embraced the idea of a Two-State solution. One could say that at least most people voting Likud are doing so with the acceptance that along with that comes a Two-State solution. If Herzog would consider this, he might reconsider the need for a referendum. 4. and if we held a referendum and the people overwhelmingly decided that we should have two separate states, then what? Could we then force Mahmoud Abbas to accept the results of our referendum and sign a peace deal? Health Minister Yaakov Litzman today pushed forward with his new directives for medical marijuana, and they were approved by the government. From now on there will be more doctors approved to give the approval for medical marijuana usage. Also, the medical marijuana will be sold in pharmacies, rather than by a tightly controlled short list of suppliers. Despite medical marijuana in Israel being much cheaper, and supposedly better quality, than what is available in most other countries, at this time it will not be approved for export (so the growers are upset). Both the Ministry of Internal Security and the Ministry of Health are opposed to opening it up to exports. good news for all you people who need to use medical marijuana. These changes generally mean that it will be much more accessible and more easily attainable. security cameras and mikvas appearing in the same sentence always worries me. According to a report, the "Mishmeret Hatzniyut" (whoever they are) has decided to install cameras in mikvas around Jerusalem. The reason for this is the concern for attacks on children in the mikvas. Supposedly, the security cameras will only be view-able to 3 rabbis with tight security. If a complaint is filed, three rabbis appointed to this task will, together, watch the footage. The camera system has already been installed in one mikva. 1. if a complaint is filed, perhaps it is the police who should be given the videos to watch, rather than a group of rabbis. Why are the rabbis investigating? 2. I am not all that much more comfortable knowing three rabbis are scanning footage of a bunch of naked men and children than if it was one rabbi or some creepy mishmeret hatzniyut guy in his mom's basement. 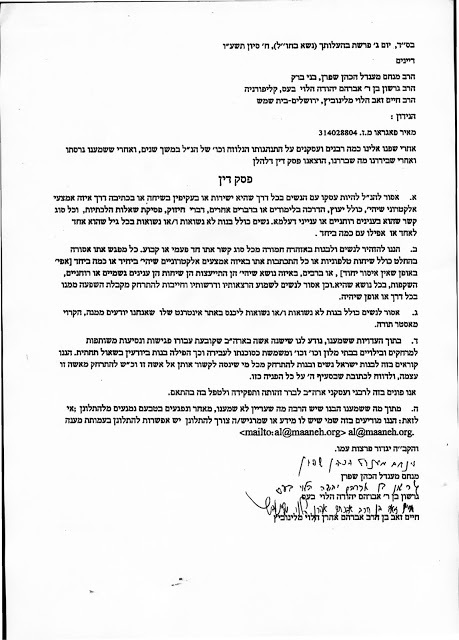 3. who is this "mishmeret hatzniyus", and what kind of authority do they have to wire up mikvas with cameras? and who are they to appoint rabbis with the task of viewing the footage of the mikva cameras? my son is in there... the Haredi unit was one of a number of units of Givati at this ceremony..
for the first time ever a rabbi competes on Chopped... he did well, and performed well. People call it a kiddush hashem. I am not sure why. Just because a religious Jew appears on television it does not mean a kiddush hashem was made. Maybe because he cooked only kosher? maybe because he smiled the whole time? I am not sure. Either way, he performed well. The Central Election Committee has decided to recommend a law proposal to the Knesset that would allow people to vote wherever they are, sort of, rather than only in the "kalfi" (ballot box) associated with their address as listed in their teudat zehut. A person will be able to declare in advance that on election day he will be located at a different address than his officially registered address. If he does so and declares his temporary location until up to 74 days prior to the elections, he will be able to vote from that location. If this law passes it will mean the parties or activists will no longer need to scramble to arrange rides and transportation for people all over the country, such as students and yeshiva bochurim, elderly people located in assisted-living centers and others, to bring them back home to vote. As long as they declare where they will be, they will be able to vote from that location. Obviously this wont help too many individuals, as most people cannot declare where they will be 74 days from any specific day, but students and the like who are living in places other than their homes for long periods of time would benefit from this. I think it is important to encourage [education in the Haredi community], it is very important, and it is a shame that in the Haredi community this is still neglected. There is no reason. I can say as someone involved in learning Torah that core curriculum studies do not at all disturb the learning of Torah, but it is in a place that when done together they are good for each other, and there is no reason that one would have to forgo one for the other. The Haredi leadership already did not like Rav Stern, and worked to thwart his election to the position of Chief Rabbi of Jerusalem. This opinion of his is not going to endear him any further on the Haredi community, specifically its leadership, and will just allow them to justify in their minds the positions they already hold about him. They claimed that the Jews have no historical connection to the Kotel, to Har Habayit, to the Land of Israel, to Hebron, and to many other of our historical sites.. this is the first time I am hearing of them claiming The Palestine Post as theirs and not ours..
this is the final episode in Amnon Levi's documentary on the Haredi women. In this episode Levi looks at the "modern" Haredi women. Minister Gila Gamliel has proposed a law by which anybody over the age of 80 in Israel would not have to wait in line.Instead, they would go straight to the front of the line. The Ministerial Legislative Committee has approved the advancement of the law. This is often done anyway, as people often allow elderly people to skip to the head of the line, but not always. This reminds me of the time we went to an entertainment center in California with my grandmother who was in a wheelchair. They let us go to the head of every line we entered. And we didnt let my grandmother go home early. Maybe now people will shlep their grandmothers along when they go shopping. Bet Hakerem to becme the next conflagration point in Jerusalem? Shas owns a building in Bet Hakerem that they will be using to establish a museum to commemorate Rav Ovadiah Yosef. Bet Hakerem is a Jerusalem neighborhood that is largely secular, with some religious people interspersed among them. They are upset that Shas chose to build their museum in Bet Hakerem, and suggest that as Har Nof is a place where many Shas voters and supporters live, it would be a much more appropriate location. The building has until now been used to store archives of documents, but they have applied for a zoning change. The opponents to the museum say that they are going to put together an offer to purchase the building, if their opposition is rejected by the Iryah. They also point to the fact that if they would try moving in or establishing secular institutions in Haredi neighborhoods they wouldn't be allowed to, and if they succeeded in their attempts they would then be harassed until they agree to leave, so they shouldn't let Haredim move institutions into their area. looks like we have another point of conflict in Jerusalem. I imagine they are intending to use this building not as part of a plan to takeover the area, but because they already have it and it is likely under-utilized. Using it means they don't need to go spend money on buying or renting another building. The "takeover" of the neighborhood, or feeling of it, would probably just be a byproduct. Even if true, this won't prevent it from becoming a fight. the various Haredi mayors (including Moshe Abutbol of Bet Shemesh, pictured above) around Israel have joined a march from Yerucham to Jerusalem to join the fight of the mayor of Yerucham to demand an increased budget from the government for the poorer municipalities as part of a change in the distribution of government funding to municipalities. They say that children in poorer cities receive government funding at far lower rates than children from wealthier cities. I should note, the march includes not just Haredi mayors but mayors of many cities around Israel from the cities rated low on the socioeconomic scale. The march is supposed to arrive in Jerusalem next week. I hope they don't walk the entire way in their suits and ties. It is a little too hot for that. I also suspect they are not walking "straight", but will walk just a little bit each day and then go home, go back to work or wherever, and then continue with a little bit more each subsequent day. I have no idea what he is talking about with his story..
though this is regarding the fact that Lipa has been hired as "the front man" (in his words) for Pepsi Israel. I assume it is specifically for their advertising to the religious market. MK Yoav Kish (Likud) has proposed a law to protect IDF soldiers from harassment, but then changed it at the last moment to be limited to IDF Volunteers in order to get it passed. The law proposal now says that anyone harassing or inciting against an IDF volunteer will be subject to a prison term of up to 7 years. The original draft of the bill included all soldiers, and specifically Haredi soldiers, as they have been a target of harassment from elements in the Haredi community opposed to Haredim joining the IDF. MK Uri Maklev opposed the law in that format. Kish realized the law would not pass, so he changed it to refer to just IDF volunteers, which are generally Christians. The law includes sedition to cause [volunteer] soldiers to desert their posts, in addition to the harassment of volunteers. The law in this format passed its initial reading and is now being moved to be prepared for voting in the Knesset. The law itself is an important law. What is troubling is how, once again, a Haredi MK works to thwart any effort to protect Haredim who have left the beis medrash. When they mention they are against those people who harass the Haredi soldiers and call them chardakim and sometimes use physical violence as well, remember that that is just lip service, as when it comes down to actually doing somethign that might help, they do the opposite. The first is referring to Pogrow, the second is referring to a fellow named Alan Weinkkrantz who died in the car crash in Tel Aviv on Saturday night. The iPhone front has been relatively quiet recently, but now we have a new psak with another advancement in the fight against smartphones. A rav in Ramot, Rabbi Menachem Mendel Fuchs of Ramot D, has issued a psak that will not allow anyone carrying an iPhone (or anything similar) from leading the services in shul (not really new), nor to get an aliya in shul - even if he is the sole kohen present in the minyan (this is new). Even if this fellow is a kohen, and the only kohen, he will not get the aliyah. Rather, they will call someone else up saying "bimkom kohen" - in place of the kohen [who is not present]. They won't even have to send the kohen out - he will just be considered irrelevant. We have seen some extreme limitations - not blowing shofar, not leading services, not being a witness to a wedding, etc. but this si definitely a new level. This is very difficult,for me personally, but it is important so I feel I must join in making this announcement. Another tragedy, Meir Pogrow a brilliant, popular and influential Torah scholar has been found guilty of various prohibited and disgusting activities with women for a long period of time. He has used his Torah knowledge as a means of seducing women. As a consequence the beis din has announced that it is prohibited for women to have any contact with him. In addition a number of well known rabbis have signed the psak of the beis din. He is a resident of Ramat Beit Shemesh and lectures widely around the world. For the appropriateness of anyone listening to his shiurim see Igros Moshe (E.H. 1:96). 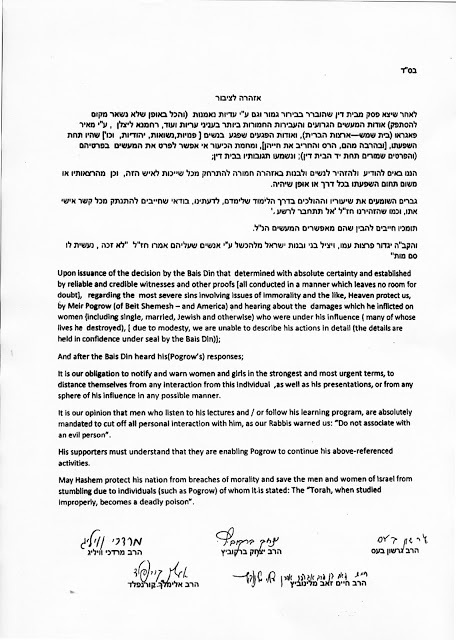 I must say the variety of the rabbonim signed on this letter is interesting, impressive, and telling. It attests to the seriousness of the nature of the announcement. It is not just Haredi or just MO or just hassidic, not just in Israel or in the USA, not just from one particular city. They have the rosh yeshiva YU, local rabbonim from RBS (where Pogrow lives), an important rav from Jerusalem, a hassidic rav, a rav from Los Angeles (where Pogrow used to live and teach - though I don't know if that is why this rav was included). This story has been going on for a long time, and only recently came to its "conclusion" with this psak beis din. The story that put it over the top was the one posted publicly by Tamar Schoor on Facebook. I say this is particularly difficult for me because Meir Pogrow and I have been friends a long time - over 25 years - and I am friends with some of his siblings. We learned in yeshiva together and Meir came to my wedding in Los Angeles (he was in the region at the time, but still had to travel a few hours to be there). Over the years we have lost touch, even though we live in the same neighborhood, as busy people often do - we were each busy with our families and lives - but every now and then bumped into each other around the neighborhood and at simchas of mutual friends. He is dynamic, charismatic and very outgoing and friendly, so it is easy to get caught up in his attention, and considering the situation, that can be dangerous. He travels a lot and in his teachings, he is in contact with people all over the globe, so his reach and influence is wide. It pains me, but it is important. And it is particularly difficult due to the pain his family his surely going through. Not only the pain of the case itself and the ramifications to the family, but the pain in knowing that everyone around them is talking about it, imagining things, wondering, accusing, and the like. Mazel tov to Dean Kemer on being the first Israeli drafted, and signed, to a Major League Baseball team! In the recent MLB draft, the Los Angeles Dodgers selected Kemer as their pick in the 14th round, and he signed with them. Kemer is a dual-citizen pitcher and has played for the Israel national baseball team in international tournaments. Kemer was actually drafted in the 2015 draft by the San Diego Padres, but elected to fulfill previous obligations and go to school for another year so did not sign with the Padres. As I wrote to Kemer on Twitter, mazel tov, and we will be following his career and rooting for him from Israel! I would note that other Jews were drafted, but Kemer is the only, and first ever, Israeli. The quote attached to the picture was "When it comes to pre-game Maariv we both pray for the same team". The question is, is Curry on that "same team", or is James?